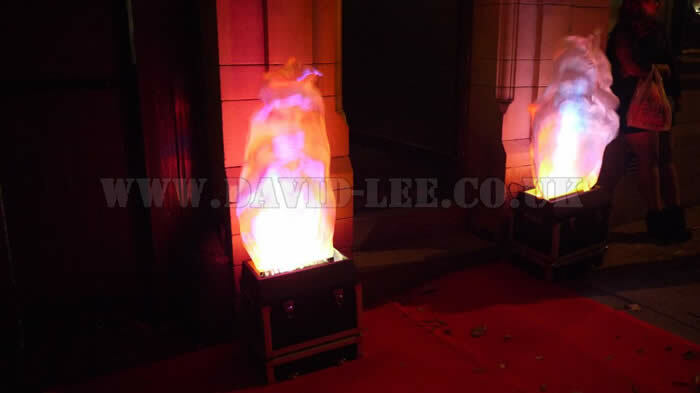 Weather you want to hire A pair of flame lights or you the whole room lit up to create the wow factor at your event, I can help you. 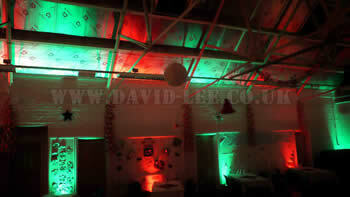 I cater more for the Private party and small to mid size corporate events in the Greater Manchester area, and I can offer a service where I work with you to help to create the event impact you are looking for within your budget. 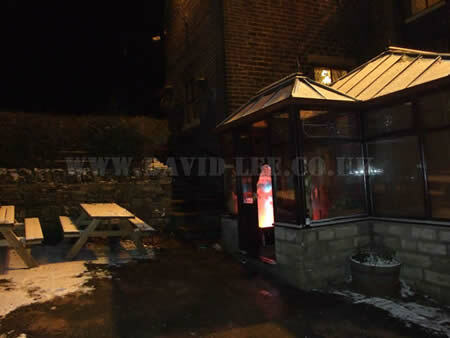 You collect - You return - A great way of keeping hire cost down, especially if you only want to hire a bag of 4 up-lighters for one night. 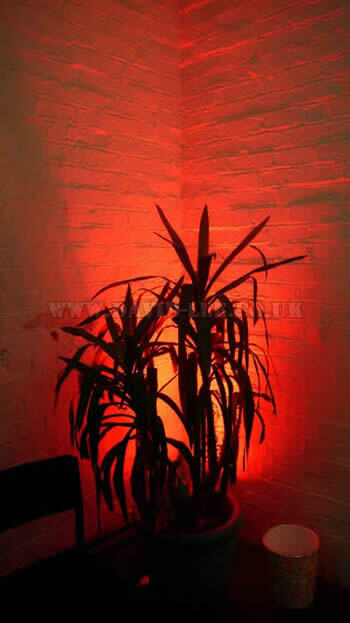 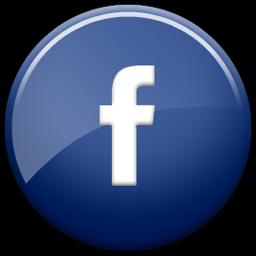 I Deliver, Install and collect - The No Time No Worry Option, slightly more expensive but a real no worry way to hire your lights for your event. 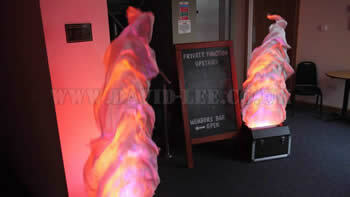 At this event it the Medici Ballroom at the Rennaissance Hotel Manchester, I suplied the Blue up-lighting, red carpet, Stage Washing and Follow spot hire services. 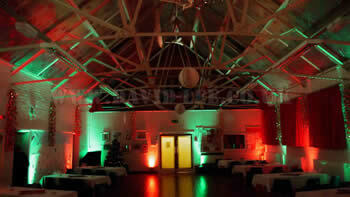 The Four Corners of the Medici Ball Room with my up-lighting. 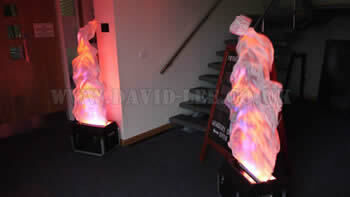 Imagine this in your corporate colours at your awards night or Staff party. 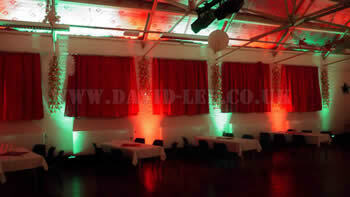 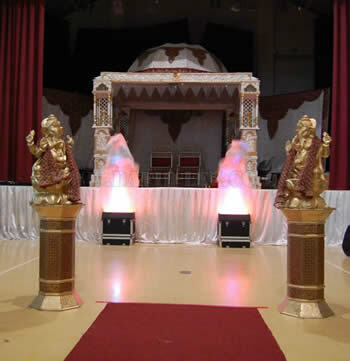 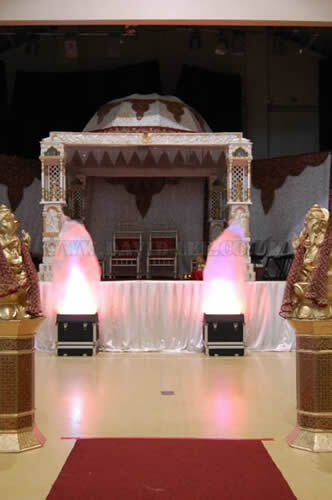 An Asian Wedding couple hired A pair of flame lights to give a greater impact to the stage area. 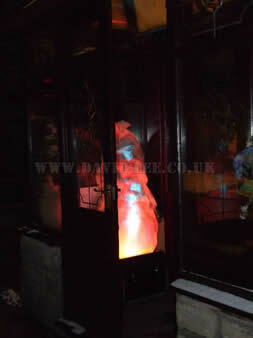 to give her guests 'A warm' people as they arrived. 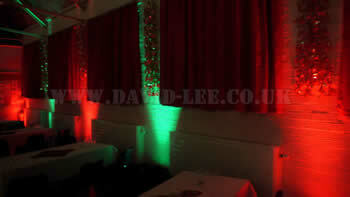 A local church event where they where having their christmas ball and required the lighting on the festive colours of Red & Green.